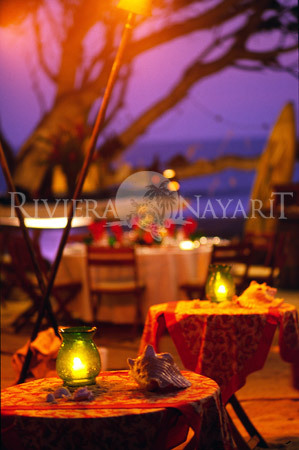 You have to visit Riviera Nayarit! 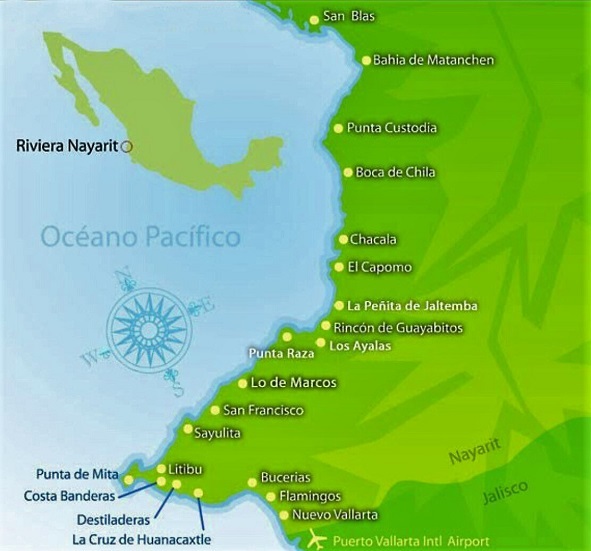 Riviera Nayarit is located just 10 minutes north of the Puerto Vallarta International Airport, and at the heart of the Banderas Bay. Stretching Northwards from the quaint town of Jarretaderas to the forgotten paradise of Lo de Marcos and encompassing a world of vacation possibilities in between. Riviera Nayarit is home to an amazing array of sights and activities to satisfy the palate of the most demanding traveler. From a quaint "Posada" hotel on a forgotten beach, to the ultra modern family travel oriented resorts in upscale Nuevo Vallarta and Flamingos, Riviera Nayarit has the kind of accommodations and services that will send you home refreshed and rejuvenated. View this great video of San Francisco, or San Pancho as it is more commonly referred to. 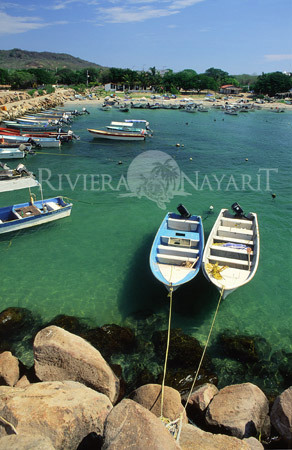 This is a quaint Mexican village, being proclaimed as one of the next great destinations in Riviera Nayarit. If exclusive special category retreats are more your style, take a look at the elegant luxury embodied in the resorts of Punta de Mita. With 7 world class golf courses in the area, Riviera Nayarit is fast becoming a golfer's paradise. Other activities like bay cruises, city tours, whale watching, swimming with dolphins, snorkeling, scuba, hiking, biking, horseback riding (the list goes on and on! ), and nearly 50 miles of unspoiled beaches, bays and coastline waiting to be discovered, all combine to make a visit to Riviera Nayarit the experience of a lifetime and keep you coming back for more! Riviera Nayarit has been blessed with some of the best beaches on the Pacific, abundant flora and fauna, and unmatched natural beauty. Combine this with modern hotels, first class services and the ingenuous hospitality that has made Riviera Nayarit famous and it's not hard to understand why so many who have visited Riviera Nayarit continue to return, year after year. Riviera Nayarit. It has everything. It's one of a kind.